Love. Beauty. Pleasure. These are the gifts of my Aphrodite Perfume. Just like the goddess this perfume is named after, this blend is deep and profound. It lures you in, calling you to indulge with abandon in the passions of love. I created this intoxicating love potion to bottle Aphrodite’s sweet splendor just for you. Indulge in this beautiful blend, beloved. And indulge often. 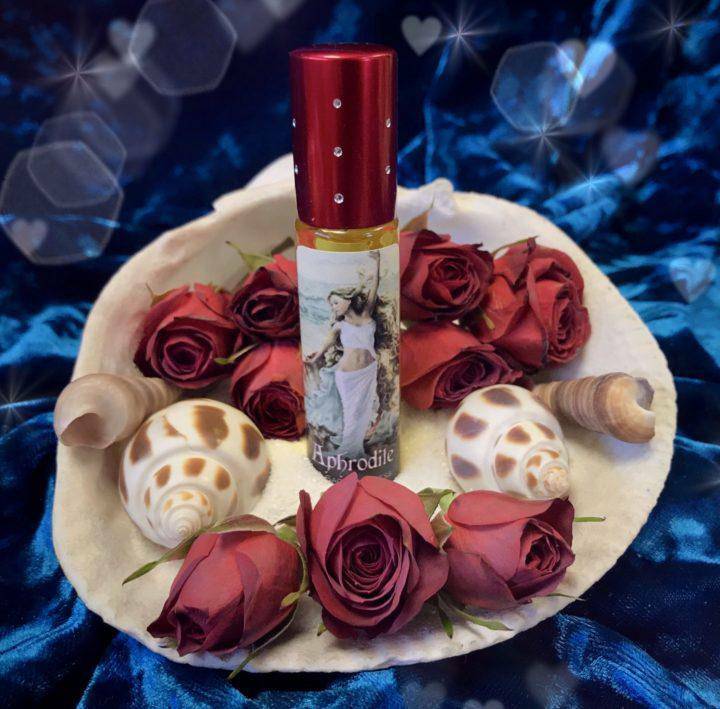 Aphrodite Perfume will ignite love and beauty in your life like never before. She will encircle you in an aromatic cloud of pure pleasure. Her fragrance is delicate and feminine, but powerful and commanding, like the great Grecian deity she is. Notes of ginger and honeysuckle entwine in a passionate affair, while citrus offers its gentle caress. Another top-secret blend wraps these lovers in a lightly floral cocoon. Infused with rose quartz, Aphrodite Perfume is my quintessence of universal love. Be prepared to feel your heart space open wide, pulsating with the vibrations of divine beauty and pleasure. This listing is for one (1) 10 ml bottle of Aphrodite Perfume. Your offering will arrive lovingly parceled for your enjoyment.